How much does a gold sovereign weigh? How much does a gold sovereign weigh? It’s a frequently asked question, so let’s answer it! 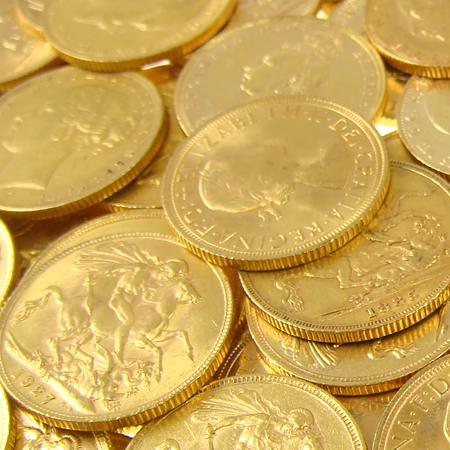 The very first gold sovereign was minted in 1489, during the reign of Henry VII. This coin was a very different coin to the ‘modern’ sovereign we are familiar with today. They weighed 240 grains, or half a troy ounce (15.55g), that’s almost twice the weight of the modern version. The grain was the legal foundation for the traditional English weight system and was based around the weight of one single grain of barley. One grain is the equivalent of 0.06479891g. The troy ounce is part of the troy weights system, primarily used for precious metals & gemstones.an imperial unit. It’s important not to confuse troy ounces with imperial ounces, which is part of the avoirdupois system. There are 12 troy ounces in a troy pound and 16 imperial ounces in an imperial pound. 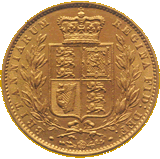 The weight of the modern sovereign was defined according to the coin act of 1816 and has remained consistent from the first mintage in 1817 to the present day. 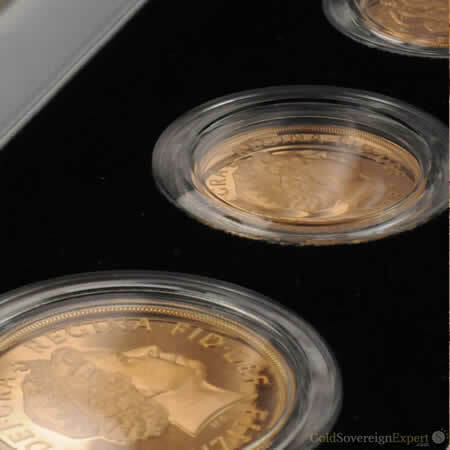 Accordingly, the precise weight of a freshly minted British gold sovereign sovereign is 7.98805g, minted in 22ct gold. Its gold content is 7.322381g , 113.0016 grains or 0.235420 troy ounces. 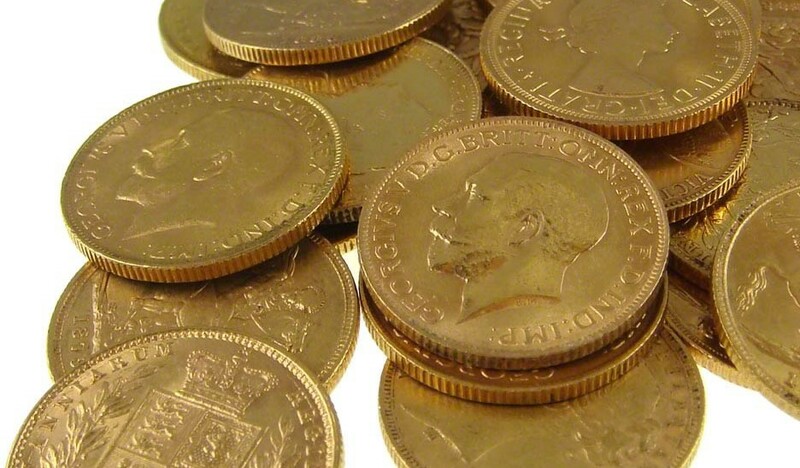 A sovereign could remain legal tender so long as it remained above its legal minimum weight of 7.93787g, after which, a coin would be removed from circulation and re-coined (melted down and made into a new coin). How much is a gold Sovereign worth? What is the rarest / most valuable gold sovereign? What size is a gold sovereign? We stock individual proof Sovereigns and Royal Mint box sets. Our stock is priced at very competetive rates. Whether you're looking to complete a particular date range, mintmark or monarch set, we can help. 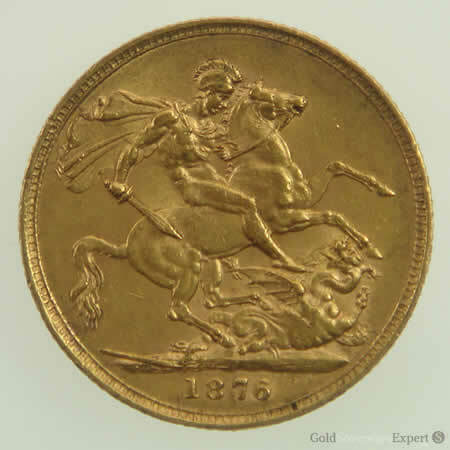 Buy bullion grade gold Sovereigns at very low margins over the gold 'spot' price. Up-to-date gold Sovereign value in 13 different currencies, including US, Canadian and Australian Dollars, Swiss Franc, Rupee, Yen & Rand. Find out about your Sovereigns rarity, its design and where it was minted. Enter the year of your Sovereign and click the "Search" button. Gold-Traders (the company behind Gold Soverign Expert) is rated 4.8 / 5 based on 512 reviews.